It’s been…a really long time since Gossip Girl ended (sorry but I can’t count the actual time because it will make me cry like a baby). The lessons the show has taught us however will last forever. Much like Blair and Chuck’s romance (or so we hope). Here are 5 lessons from Gossip Girl. 1) If your boyfriend cheats on you, do NOT take him back. It doesn’t matter if he’s hot. It doesn’t matter if he says he won’t speak to the other girl again,DO NOT TAKE HIM BACK. 2) You’re not a stop along the way, you’re a destination- Kinda ironic that the woman who said this took her cheating boyfriend back but I’ll try not to judge. 3) “Friends” are fickle but friends are forever- Despite Blair and Serena’s many ups and downs they were (usually) always there for each other. Blair’s minions however were let-downs time and time again. Anyone remembers how they attached themselves to Serena in season one when she decided she wanted to be a bad girl again? 4) You don’t always get what you want but that’s okay – Am I the only one who cried when Blair didn’t get into Yale? I was as heartbroken as she was. After all, if the Queen Bee couldn’t get into her dream school, what did that say about the rest of us? That episode taught me that things in life may not always go as planned but it doesn’t mean you should give up. This has been an invaluable lesson for me in my own life. 5) Always dress your best- The fashion on Gossip Girl was one of my favourite things about the show. The characters wore amazing outfits and they wore them with confidence. 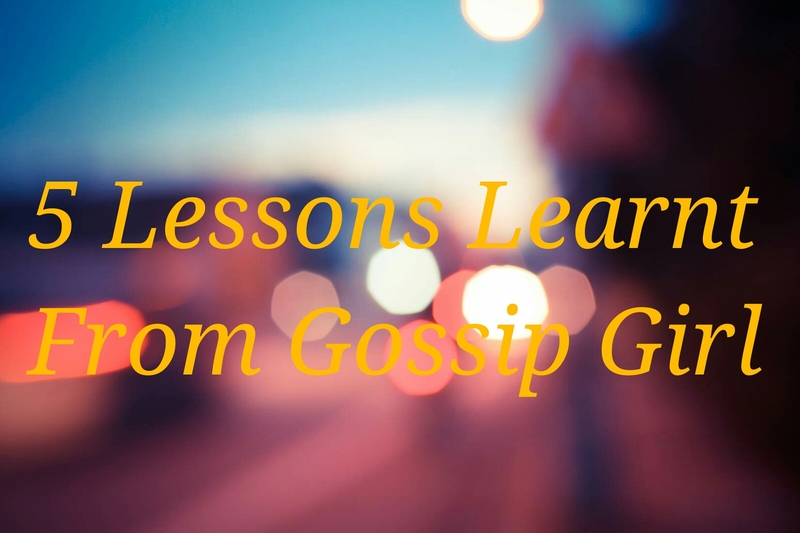 What lessons did you learn from Gossip Girl? Are you Team Nate, Team Chuck or Team Dan? Leave a comment below.